Minister for Defence Senator the Hon. 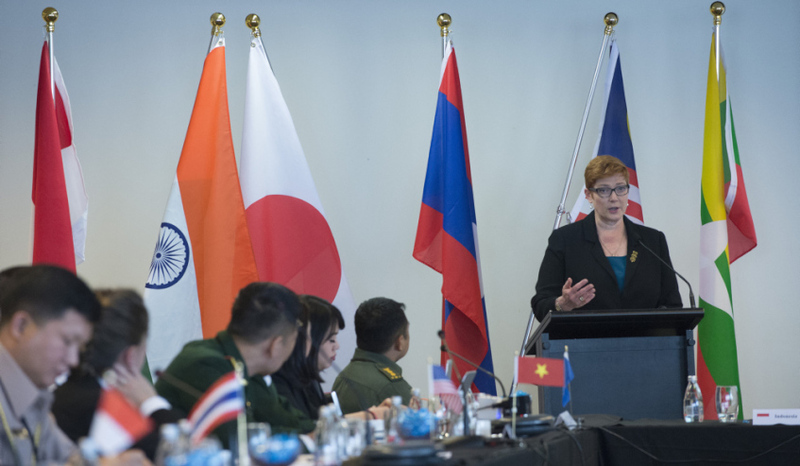 Marise Payne MP addresses participants of the ASEAN Peacekeeping working group earlier this year. Image via Commonwealth of Australia, Department of Defence. Australian Defence Minister Marise Payne will travel to the Philippines for the Association of South-East Asian Nations (ASEAN) Defence Ministers’ Meeting‑Plus (ADMM-Plus). Minister Payne will join defence ministers from across south-east Asia and the wider Indo-Pacific in Manila to discuss defence co-operation and regional security challenges. Defence ministers or their representatives from the 10 ASEAN states and the eight 'Plus' countries (Australia, China, India, Japan, New Zealand, the Republic of Korea, Russia and the US) will attend the ADMM-Plus. Minister Payne said the ADMM-Plus is the region’s pre-eminent regional security framework and was important for fostering practical military co-operation. "The region must work together to address common challenges, including North Korea’s provocative actions, the evolving terrorism threat and continued tensions in the South China Sea," Minister Payne said. "The ADMM-Plus helps to promote the rules-based order and to build co-operation, transparency and trust between regional militaries." While in the Philippines, Minister Payne will also hold a number of bilateral meetings with her regional counterparts. Australia is the current co-chair of the ADMM-Plus Experts’ Working Group on Peacekeeping Operations with Indonesia.